And sing the song of Moses. His hellish foes did quell. OUR BREAKER AND PROPHECY - In Daniel Christ is the Breaker, the "Stone that was cut out without hands," Who "will crush and put an end to all these kingdoms, and will set up a kingdom which will never be destroyed, but will endure forever." (Daniel 2:34, 44-note, cp Ps 118:22, 1 Peter 2:8-note) Spurgeon comments that "as surely as Jehovah is the Living God, the Kingdom of Christ will yet BREAK in pieces all the powers that resist it. 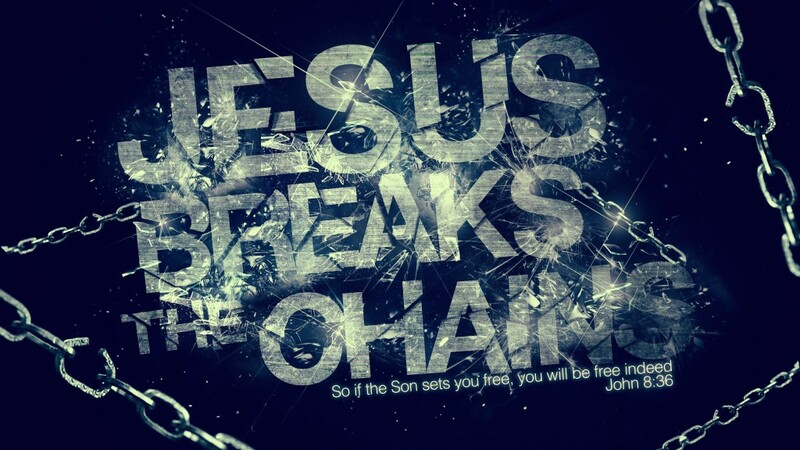 'He shall BREAK them as with a rod of iron. He shall dash them in pieces like a potters' vessel." (Psalm 2:9) In Revelation, we see that Jesus is declared "Worthy to take the book and to break its seals; for He has been slain (referring to our Breaker's scars)" (Rev 5:9-note). And when the Breaker breaks the seals of the Scroll, this solemn acts sets in motion the final outpouring of God's wrath in a successive unfolding of the Seal, Trumpet and Bowl judgments (Revelation 6-19). OUR BREAKER'S EFFICACIOUS WORK SUMMARIZED: Spurgeon writes Christ the Breaker "has conquered every foe that obstructs our way to God. Cheer up now dear faint-hearted warrior. Not only has Christ traveled this road, but He has slain all our enemies. Do you dread sin? He has nailed it to His cross (Col 2:14-15-note). Do you fear death? He has been the death of Death (Heb 2:14-15-note, 1 Cor `5:55). Are you afraid of hell? He has barred it from coming against any of His children. They shall never see the gulf of perdition. Whatever foes may be before the Christian, they are all overcome (1 John 5:4-5-note, Jn 16:33, Gal 6:14-note, Ro 6:12-note, Heb 2:14-15). There are lions, but their teeth are broken (Da 6:16-21, 22-note); there are serpents, but their fangs are extracted; there are rivers, but they are bridged or fordable (Isa 43:2); there are flames, but we wear that matchless garment which renders us invulnerable to fire (Da 3:16-18; 3:23-3:27-note). The sword that has been forged against us is already blunted; the instruments of war which the enemy is preparing have already lost their point. (cf Isa 54:17) God has taken away in the Person of Christ all the power that anything can have to hurt us (cf Lk 12:4-5). Well then, the army may safely march on, and you may go joyously along your journey, for all your enemies are conquered beforehand. What shall you do but march on to take the prey? They are beaten, they are vanquished; all you have to do is to divide the spoil (cp Zech 14:1). You shall, it is true, often engage in combat; but your fight shall be with a vanquished foe. His head is broken (Ge 3:15). He may attempt to injure you, but his strength shall not be sufficient for his malicious design (cf 1Jn 4:4-note). Your victory shall be easy, and your treasure shall be beyond all count (cf 1Cor 15:57, Mt 6:19-21-note)."